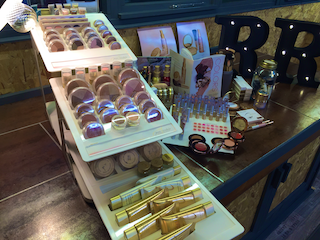 Jane Iredale Makeup is a high quality mineral makeup. Because pure mineral pigment is used with no fillers such as talc, our foundations and concealers give exceptional coverage that requires minimal touch-ups. Our foundations form a protective barrier on the skin that allows it to breathe and function normally. Laboratory tests confirm that all of our products are non-comedogenic and do not block pores. Jane Iredale is one of very few brands that is not tested on animals and is certified cruelty free.